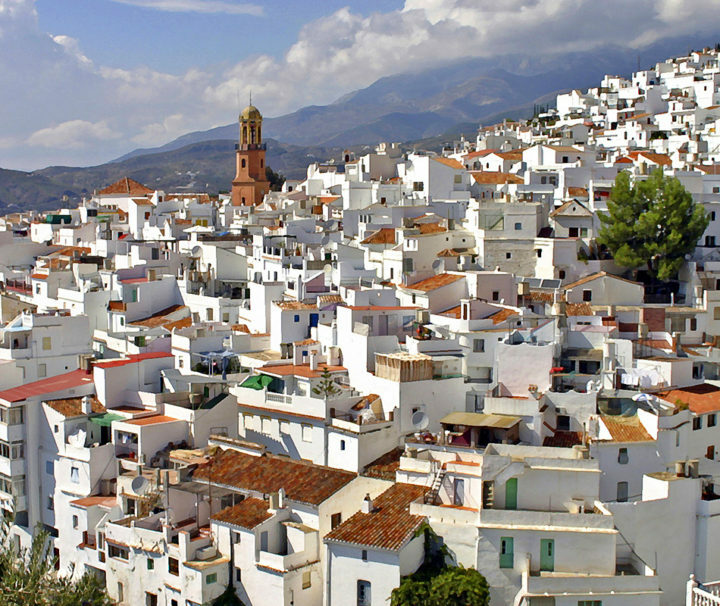 Moorish architecture and legend, hilltop white villages covered with orange blossoms, restaurants featuring paella, gazpacho & tapas, endless sunshine and of course, flamenco. Spring in southern Spain is a time of celebration and cycling between the white villages of andalucia, staying in 4-star luxury is sublime. Leon to Santiago de Compostella For any traveler interested in history, art, & culture, the Camino de Santiago certainly ranks as one of the most spectacular trips in the world today. From the 10th Century to the present day, pilgrims have come (by foot and now bicycle) from near and far to experience this enigma of Spain. 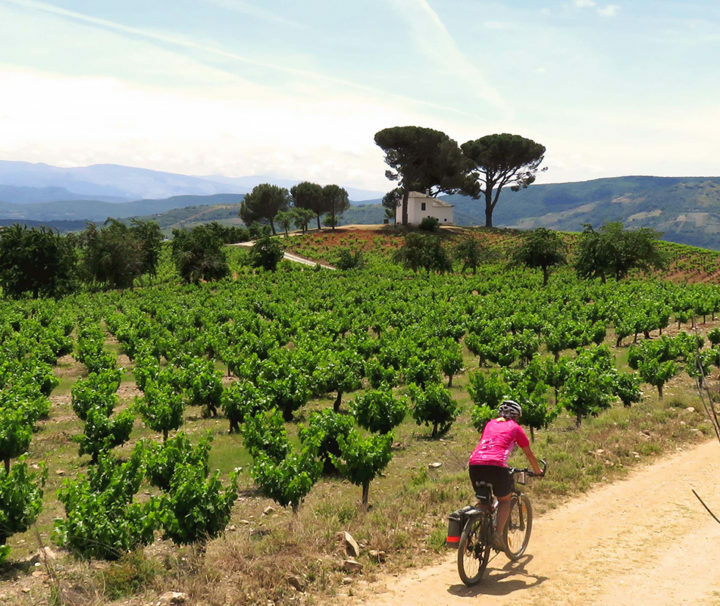 For riders of this trail, you can choose between a paved or off-road route as it threads its way across Spain. The scenery is breathtaking with lots of cultural and historical sights along the way. Pamplona to Santiago de Compostella For any traveler interested in history, art, & culture, the Camino de Santiago certainly ranks as one of the most spectacular trips in the world today. From the 10th Century to the present day, pilgrims have come (by foot and now bicycle) from near and far to experience this enigma of Spain. For riders of this trail, you can choose between a paved or off-road route as it threads its way across Spain. The scenery is breathtaking with lots of cultural and historical sights along the way. 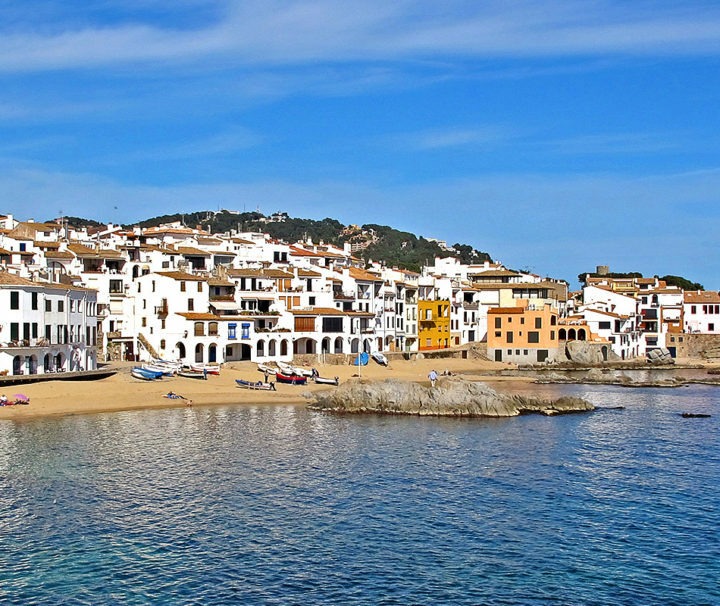 The pine-scented coastal region of Catalonia has long attracted artists (Salvador Dali, among others), writers, and those in search of beauty, tranquility, and inspiration. With its multitude of villages, sunny weather, seaside splendor, art, culture, and gastronomy & wine, this corner of Spain offers everything we look for when traveling. Did we mention the cycling is superb? In fact, many pro teams live and train here when not competing. 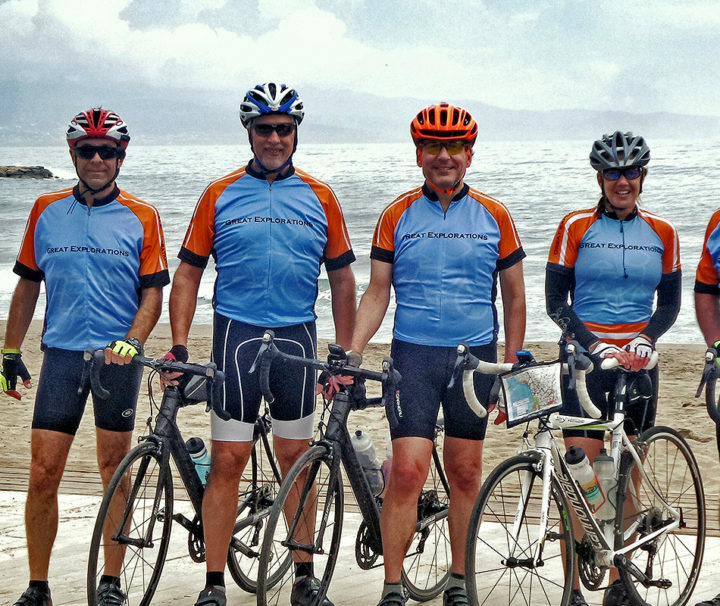 While most of our routes are more moderate in length and difficulty, avid cyclists will have lots of options should they choose. From Figueres, to Callela de Palafrugell to Girona, we have created an itinerary that shows you the very best of this region.